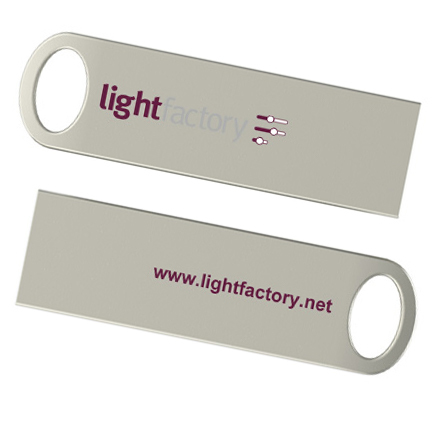 This 4Gb USB memory stick can be used to replace the registration stored on the computer. The first time you run LightFactory with this device connected it will ask you if you want to transfer the registration onto the device. The USB device can then be connected to any PC to register the software. Note: This product is not required for LF25 and LF50 packages. For both of these products the license code is pre insatlled onto the USB to DMX device. The ultimate USB DMX box with more features than anything else on the market. From basic Enttec Pro compatibility mode right through to full on Art-Net/sACN we've got everything covered including standalone show playback of any complexity and duration. The DMXking.com eDMX4 PRO product is a robust 4 universe DMX512-A interface communicating with the host computer over Ethernet. The DMXking eDMX1 product is a robust single universe bi-directional DMX512 interface communicating with the host computer over Ethernet. Firmware v1.0 supports the widely used Art-Net broadcast and Art-Net 2 unicast protocols. Available with both 3 pin and 5 pin XLR connectors, no adapter to purchase. The DMXking.com ultraDMX Micro product is a low cost, reliable and robust single universe bi-directional DMX512 interface with USB connection to a computer. An onboard Atmel microcontroller ensures complete timing accuracy and no flickering effects no matter what your computer is doing.